Here is a tree generator that was released for free today. It can export in .OBJ or .X, which should be usable by the MonoGame content pipeline. I've yet to test this since I'm in the middle of some audio changes. Neat free tool offers a surprising range of control options, and exports data in OBJ and X formats. Whoa ! Thanks ! Just what I was looking for ! 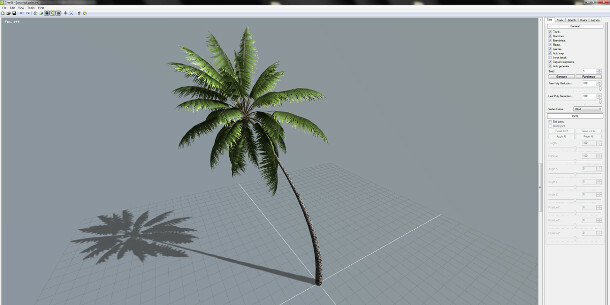 cool!, how about the wind effect for the tree branch ? wil it content any data together with obj for us to do wind effect after import to monogame? Excellent idea! That is really awesome! Erm... if the program can output any vertexcolor data. It will be easier for us to identify which 1 is branch which 1 is leaf, so we can base on that to do some natural animation.